Adventure Playground. Elplate. Gemini. Goodbye! Mother. Jonathan Rockwell. NF Doom. Powerbastard. Prancehall. RGEVENT. 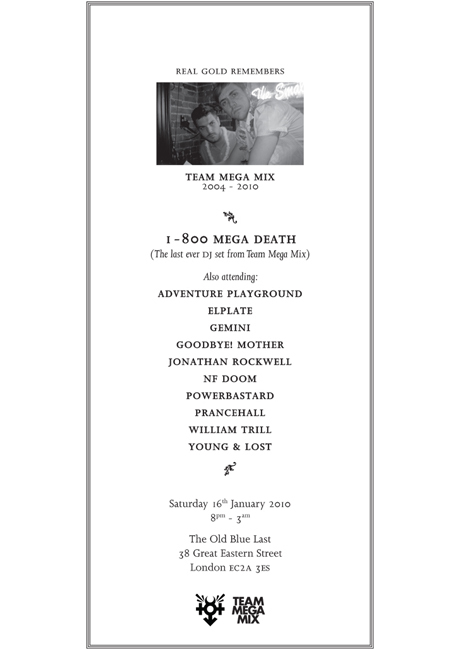 Team Mega Mix. William Trill. Young and Lost.